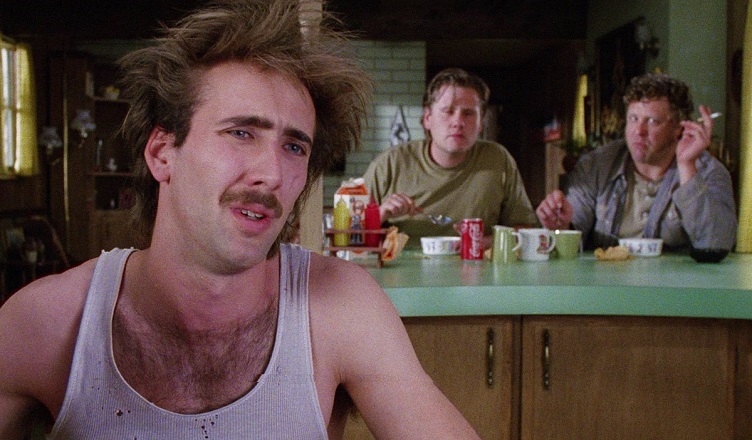 Nicolas Cage, William Forsythe, and John Goodman in Raising Arizona (1987), directed by Joel and Ethan Coen. George Butte, Suture and Narrative: Deep Intersubjectivity in Fiction and Film. Columbus: Ohio State University Press, 2017. George Butte’s Suture and Narrative is an impressive achievement in both narratology and film theory, marking a pivotal moment in comparative literature in which the confluence of film and print is evermore coming into focus in the foreground of literary analysis. 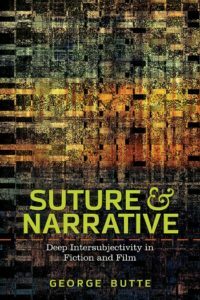 The purpose of Suture and Narrative, in Butte’s own words, is “to examine what remains in the notion of suture in narrative theory to recover what was lost and explain why it matters” (3). What was lost, for Butte, were the “network of subjectivities,” present in fiction and film narratives, which are so often overlooked (3). Butte details why this matters in terms of subjectivity, embodiment, and ultimately community, searching through various case studies in both film and print in order to reconsider the status of suture in contemporary narratological studies. One of the central figures whom Butte indicts is the French psychoanalyst Jacques Lacan. Butte dedicates a large portion of the book’s first section to responding to the preponderance of negativity permeating the psychoanalytic model of suture put forth by Lacan, which was later inherited by his followers Jacques-Alain Miller, Jean-Pierre Oudart, and others. As Butte explains, “suture’s primal story was a tale of absences” that focalized the void—or as Oudart coined, the “Absent One”—as a primary force formative of subjectivity (3). Butte argues instead for deep intersubjectivity, a network of consciousnesses that could shift our focus toward the “multiple centers of awareness in narrative” rather than remaining trained on the lack and failure suggested by the psychoanalytic model (3). In this way, Butte’s work marks a theoretical shift from the gaze of both Lacan and Jean-Paul Sartre to the phenomenological model of Maurice Merleau-Ponty and later Jacques Derrida, or as Butte writes, “from an ontology of absence to an ontology of loss and occasional and partial presence” (4). This shift from loss to presence enables Butte to traverse relatively uncharted theoretical terrain, ushering the reader effortlessly from Sylvia Plath to Atul Gawande, Robert Bresson to Alfred Hitchcock, and Luce Irigaray to Toni Morrison among others. Unlike the Lacanian model adapted by Miller and Oudart (although Butte argues that even in Oudart there exists an underappreciated phenomenological reading), deep intersubjectivity as a model for suture “allows for the possibility of comedy, of an espousal . . . that is always imperfect, never transcendental and even then only a possibility” (4). Butte hopes to salvage what remains of suture from classical suture theory, endorsing espousal over lack, presence over absence, and immanence or embodiment over transcendence. As he pithily claims, “suture is selves embodied, not as shadows” (7). By focusing on the complex braid of “perceptions of perceptions perceived” embedded in the narratives of Henry James, J.M. Barrie, and the Coen Brothers, Butte attempts to disentangle networks of intersubjectivities latent in fiction and film narratives (5). In the book’s second chapter, Butte recounts some of the major theoretical innovations and permutations that suture as a concept has undergone since the late 1960s; the term was first introduced by Lacan to describe the way in which the subject became attached to language, and was further adapted by Miller and Oudart, the latter of whom began folding the concept into film theory with his influential essay “Cinema and Suture,” which appeared in Cahiers du Cinéma in 1969. Suture was later adapted by film theorists Kaja Silverman and Daniel Dayan, for whom the concept directly accounted for interpellation in film spectatorship, therefore identifying the ideological element at play with suture. For the purposes of Butte’s text, suture comes to stand for both a wounding and healing action. It is akin, Butte argues, to Derrida’s reading of Plato’s Pharmakon and the komos—for death and rebirth, remedy and poison, as Butte insists early on in the book, “the word [suture] is about cutting and sewing the body” (2). For Butte, following Merleau-Ponty’s phenomenology, there exists the possibility of partial or, at the very least, incomplete espousal between bodies and between consciousnesses. Whereas the Ego-Ideal of Lacan’s Mirror Stage took precedence in 1970’s film theory, emphasizing gap, rupture, and ultimately failure, Merleau-Ponty opted instead for “identity at a distance,” attempting to resituate the subject as an embodied consciousness and therefore highlighting presence over absence (34, emphasis original). Butte makes use of Merleau-Ponty’s interpretation of chiasmus in order to develop how bodies and consciousnesses become entangled or crossed, writing that “suture . . . is an interleaving of embodiments . . . in a reversal of the absences of classic suture theorists” (37). At the end of chapter two, Butte offers an excellent examination of the film Nothing But a Man (Michael Roemer, 1964), highlighting the “mystery of the oblique angle” often utilized in shot/reverse shot sequences in film (52). Butte’s analysis of Nothing But a Man provides the reader a clear example that shows how his reinterpretation of suture can be applied in the scene analysis of a film. As he writes in one particularly striking sentence, “the architecture of the scene involves the interweaving of specific close-ups that link consciousnesses by means of their reciprocal gestures strung like beads on the rigorous geometry of the sequences eyeline matches” (41, my emphasis). Butte’s analysis in this section is one of the high points of Suture and Narrative. The oblique angle is characterized as a versatile cinematographic device throughout Butte’s book. However, obliqueness is not solely confined to the screen but is also embedded in the rhetorical structure of Henry James’s novels, with Butte identifying key moments in James’s late novels The Wings of the Doves, The Golden Bowl, and What Maisie Knew in which obliqueness is employed in moments of deep intersubjectivity. For Butte, the oblique angle in film finds its written counterpart in free indirect discourse, and Henry James provides a “limit case” exemplary of chiasmus and embodiment in print narrative (73). “What narrative agency,” Butte asks, “is in control of the Jamesian syuzhet’s elegant arabesques across his tale’s fabula (and its window opening at carefully timed moments into one subjectivity or another)?” (74, emphasis original). Butte considers “looking at looking” to be an archetypical moment in James’s late works, identifying “the effect of free indirect discourse in deep intersubjectivity [as] a kind of oblique intimacy” (85, 97). This oblique intimacy is in line with the Merleau-Pontian chiasmus, as the nesting of different embodiments and consciousnesses held together by an often rhetorically fraught narrative point of view. Butte’s parallel between shot/reverse shot and free indirect discourse is perhaps his most potent innovation, standing as a kind of theoretical centerpiece of Suture and Narrative and opening up crucial parallels between cinema and printed narrative, viewer/reader embodiment, and finally deep intersubjectivity in both mediums. This parallel is especially pertinent in the final section of chapter three in which Butte addresses the film versions of James’s novels, leading Butte to conclude how “novel and film both make use of the oblique angle of perspective and of an over-the-shoulder gaze to embody the difficulty of encountering the other, and of responding to the other’s response to the observing subject” (108). For seasoned readers of Lacan and his disciples such as Slavoj Žižek, Todd McGowan, and Joan Copjec, Butte’s work might come across as bit, well, lacking; Butte’s engagement with psychoanalytic film theory and suture begins and ends with early Lacan (i.e. the Lacan of the Mirror Stage), Miller, Oudart and Silverman, and thereby never quite makes it out of the 1970s or early 1980s. In this way, Butte misses the opportunity to engage with contemporary psychoanalytic theorists, and in particular some of the more recent interpretations of the concept of suture such as Žižek’s from his texts The Fright of Real Tears: Krzysztof Kieslowski Between Theory and Post-Theory (2001) and Less Than Nothing: Hegel and the Shadow of Dialectical Materialism (2012), both of which dedicate entire sections specifically to the concept of suture.4 As well, Butte misses the chance to engage with Copjec and McGowan, arguably the two most prominent Lacanian film theorists in America today. Although Butte certainly adds something new to the theory of suture and thus to narratology more generally, the dated account of film theory and suture comes across as a glaring inconsistency, especially where more contemporary accounts of suture are concerned. Despite this setback, Butte’s work should be taken seriously and considered as a major theoretical contribution toward the resuscitation and further development of suture theory and narratology in film and literary studies. Suture and Narratology provides a lucid and intelligent application of suture to texts that, at first glance, might otherwise seem like strange bedfellows; Butte develops a rigorous theoretical framework in which the vast differences and distances between the works of Jonathan Demme, Henry James, Alfred Hitchcock, J.M. Barrie, Jane Austen, and the Coen Brothers can be considered in tandem with one another, making his study of suture and narratology an especially apposite one. Butte indeed successfully sutures these creators and their works together to some degree. He deftly and audaciously navigates the nested, matryoshka doll-like structure of subjectivities folded into these narratives, unpacking their dense and often stubborn internment behind rhetorical, theoretical, and cultural baggages. In so doing, Butte offers a valuable transdisciplinary volume, turning the screw once again on suture and its vicissitudes. Suture and Narrative includes an appendix which unpacks the ricochet effect further. Those familiar with the Coen’s The Big Lebowski (1998) will detect a similar use of recycled political, pop cultural and archaic vocabularies practiced by Jeffrey “The Dude” Lebowski (Jeff Bridges). There are a couple of other moments in Suture and Narrative in which a keen Lacanian eye would detect Butte’s unconscious endorsement of Lacan; of particular interest is Butte’s use of the Mobius strip as a metaphor for the twisted shape of narrative (177). Another curious feature is Butte’s ocularcentrism — a critique which has often been launched against Lacan and psychoanalysis more generally, especially in film theory and the privileging of the gaze: throughout Butte’s examples, embodiment and chiasmus are rarely considered outside of the gaze in either film or print (the one exception being Butte’s explication of children eavesdropping in Peter Pan in chapter four). The first section The Fright of Real Tears has the subtitle “Suture Revisited,” in which Žižek argues for a return to suture which he perceives as having been forgotten by film theory. He writes that “the very opposition between the symbolic order and its absence has to be inscribed within this order, and ‘suture’ designates the point of this inscription.” See: Žižek, Slavoj. The Fright of Real Tears: Krzysztof Kieslowski Between Theory and Post-Theory. (London: British Film Institute, 2001), 32. Anthony Ballas studied English, philosophy, and religious studies at the University of Colorado at Denver. He has written on sexism and racism in film, Hip Hop and ontology, and architecture. Anthony is currently editing a collection on liberation theology and cinema.